Point-of-sale iPhone app PayPal Here has just made the move to version 2.0 with a number of improvements. First up, the look and feel of the app has been totally revamped to match up better with iOS 7. Users should also enjoy the apps new dynamic search tool and the ability to swipe cards at any time during the order process. Designed for the iPhone/iPod touch, PayPal Here can be downloaded now in the App Store for free. A separate version of the app is also available to download for the iPad/iPad mini, but it has yet to be updated. Originally landing on the App Store in early 2012, the app is PayPals answer to other credit card processing services like Square. Before today, its last major update arrived back in July. 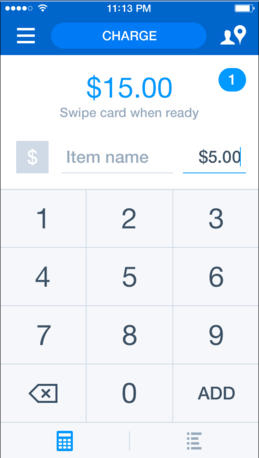 PayPal Here users are charged 2.7 percent of the purchase price per swipe. There are no contracts, commitments, or monthly fees. For other app news today, see: At Long Last, Amazon Instant Video Gets Updated And Redesigned For iOS 7, ShopKeep POS 2.0 Features New iOS 7 Design, Unified Payment Flows And More, and Run, Shoot And Hunt For Easter Eggs In The New Version Of Respawnables.